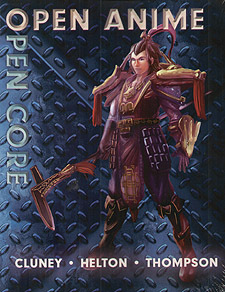 The Open Core System returns with a new multi-genre game that supports all your favourite manga and anime. Open Anime is effects-based to help you create that "perfect" character using attributes, skills, abilities and disabilities. Open Anime is a "classless" point-based system that allows players and Gamemasters the freedom to create a wide variety of characters and worlds. Fully extendable: Open Content from other system easily integrate into Open Anime.